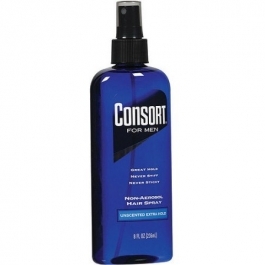 Hold bottle 10-12 inches from hair, press dispenser with quick, short strokes. (Rinse spray head in warm water if pump is blocked). Flammable. Avoid fire, flame or smoking during application and until hair is fully dry. Avoid spraying near eyes. Keep out of reach of children. (c) Professional Division Alberto-Culver USA Inc.